Happy Monday! If there's one thing I can be certain of it's definitely the fact of how hard we, as people, are on ourselves. Everyone everywhere is trying to live. We're all trying to make a change, progress our lives to get farther, and just become better people. If you find that you aren't constantly trying to make a change you probably need to start reevaluating yourself and your life. There is always room for improvement. However, in order to get to that point in your life where you start making things happen, you have to constantly get yourself over the humps that keep you from getting there. It's too often where we try and progress and when there's a setback we take ten steps back because we become disappointed in ourselves. I've done this too. One thing I've learned is that you have to keep on keeping on. The hardest part of trying to get to a much more positive state is letting go of your mistakes and the times that you disappoint yourself. Once you stop focusing on the fact that you feel like you're messing up, that is when doors and things will open for you. The hardest part is convincing yourself that you are capable of greater things. Bad things happen all the time but it's up to you on how you're going to let them affect you and your progress. Progress is still progress, big or small. There must have been a time where you felt as though you were never going to be able to get out of and yet here you are! You got through it and you are better than what you were before. 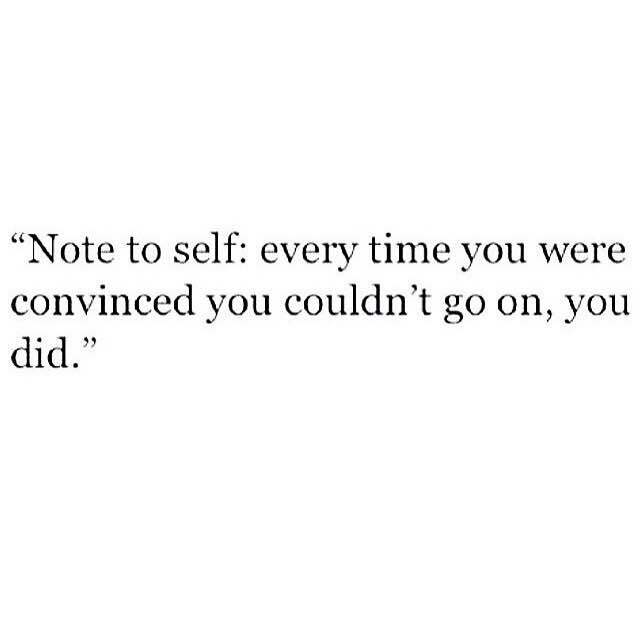 Convince yourself that you can do it. Let the setbacks motivate you because when the time comes you're going to be that much more grateful for the goodness of it all. Tell yourself that no matter what happens, what mistakes or setbacks take place, they are not going to keep you from getting where you want to be. Follow your bliss, focus on becoming better, and everything else will fall into place.